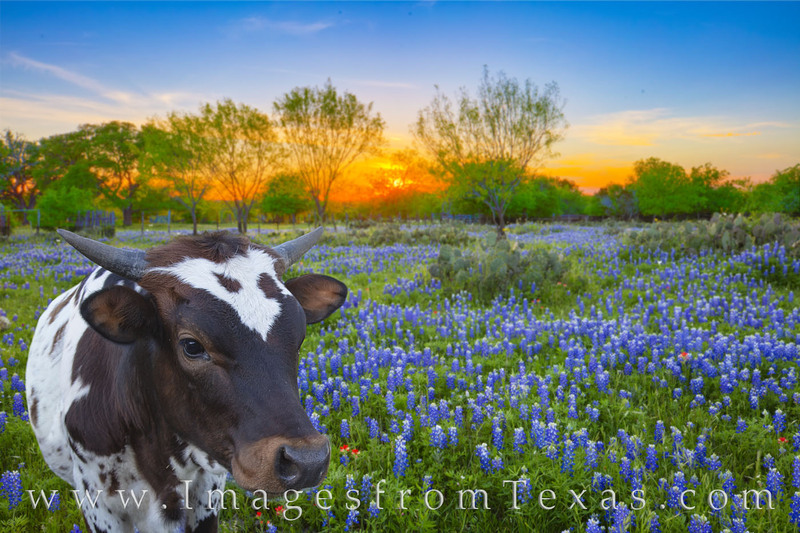 While shooting a nice bluebonnet field at sunset, this baby longhorn seemed to photobomb my image. While he stayed far away from me for most of the evening, when wandered up, I quickly changed my focus on this little guy for a few brief moments. Can longhorns be cute? Photo © copyright by Rob Greebon.